Beautifully situated in the Axarquia mountains of Southern Spain, Santillan is an authentic Andalusian farmhouse overlooking the Mediterranean sea. Surrounded by beauty and tranquility on all sides, this is a spectacular location to relax, deepen your yoga practice, andexplore the rich cultural heritage and natural wonders of Andalusia. 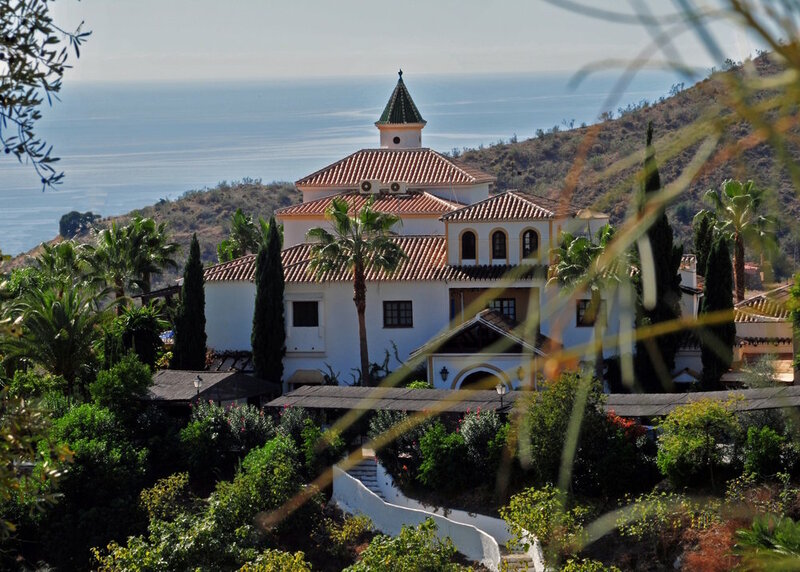 Join Iyengar teachers Kavi Patel and Eve Holbrook for a seven-day retreat in this magnificent place, featuring one of Europe’s finest yoga studios, en-suite accommodation, gourmet food, a range of indoor and outdoor facilities, only 30 minutes from Malaga airport. Prices range from $1804 for a shared room to $2070 for a single one (please go to Centro Santillan Yoga & Wellness Center discriptions). This includes all yoga classes, meals, and seven nights accommodation. It does not include airfare to Malaga, ground transportation, excursions, spa therapies, or purchased drinks.